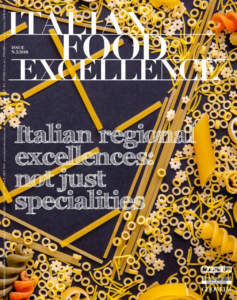 Home » Dairy & cheese » Asiago, sweet and slight or strong and flavourful? Asiago, sweet and slight or strong and flavourful? 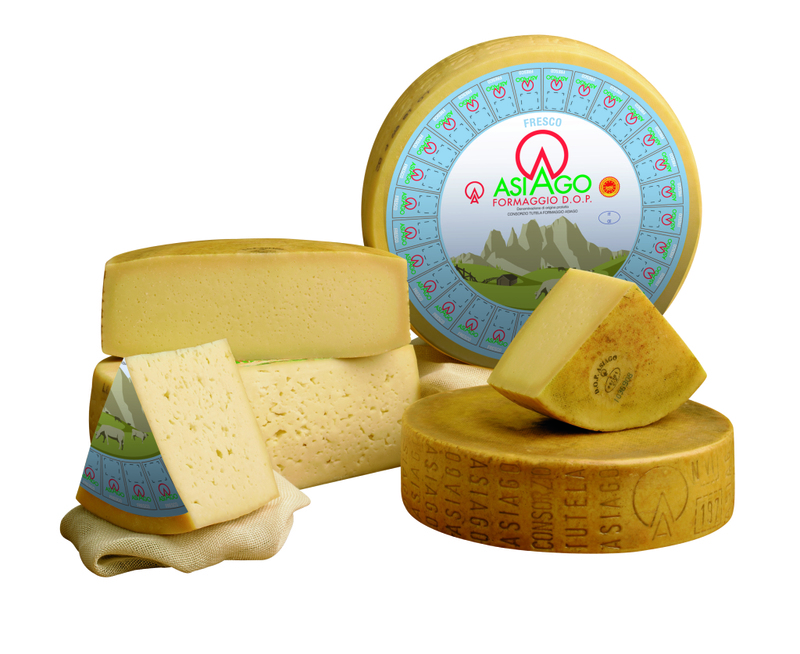 Asiago “Product of the Mountain” is the traditional cheese of the Asiago Plateau. It is strongly characterized by its fresh, milky, slightly floral smell, with a sweet and pleasant taste. The entire production process is carried out according to strict production guidelines that highlight the repetition of an ancient tradition for the good of the environment, the grazing cattle and the consumer. Asiago DOP cheese is produced in an area reaching from the irrigated fields of the Po Valley to the hills of the Asiago Plateau and Trentino comprising four provinces: Vicenza, Trento and part of Padua and Treviso. Only Asiago cheese produced within this area is authentic Asiago DOP. 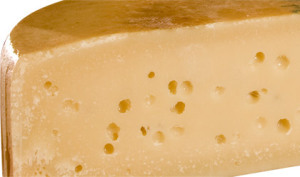 Asiago cheese that is produced entirely at an altitude above 600 metres and with milk from farms within this area may also bear the distinction “Product of the Mountain”. Fresh Asiago is a cheese with a young flavour and a taste of milk fresh from the cow, melting in the mouth to release sweet and slightly sour notes. 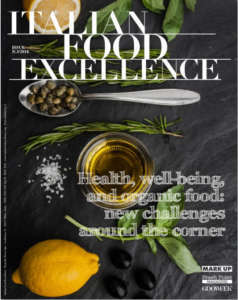 The cheese’s digestibility and palatability, and the presence of live lactic ferments, are qualities appreciated by nutritionists who recommend Fresh Asiago for a good, healthy diet. 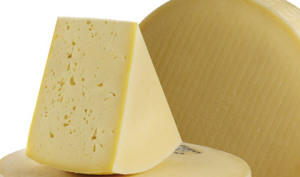 The cut cheese presents a white or pale yellow colour. The holes are marked and irregular. It is soft like a sponge cake and has an elastic feel. The aromas are reminiscent of yogurt and butter. It has a delicate and pleasant flavour. Fresh Asiago should be consumed soon after purchase in order to appreciate its full sweetness. It will keep in the refrigerator for around 10 days at a temperature of 8/9°. Seasoned Asiago is a flavourful cheese with a strong personality. It should be chewed slowly until its aromatic notes explode in the mouth. It can be “Mezzano” (medium seasoned), “Vecchio” (mature) or “Stravecchio” (extra mature) depending on the seasoning. It can contribute up to 50% of daily protein requirements, with a protein content of high nutritional value. The cut cheese presents a yellow or pale yellow colour. The eye formation is of small or medium size. It is compact but soft in structure. As seasoning progresses it continues to harden. The smell is reminiscent of bread or pizza dough, dry hazelnuts and almonds. The taste is strong and flavourful. The rich aroma develops with seasoning and the flavour is enhanced by pleasant and even piquant notes. Seasoned Asiago may be kept either in the refrigerator at 8/9° or wrapped in a cloth, in a suitable environment, at 10/15°. It can be consumed up to a month after purchase. Asiago DOP continues to grow on the German market and launches a new season of investments in promotion. After a 73% increase in the growth of sales in the first half of 2013, compared to the same period of the previous year, Germany is ready to overtake the United States and become the second destination country for Asiago cheese exports. 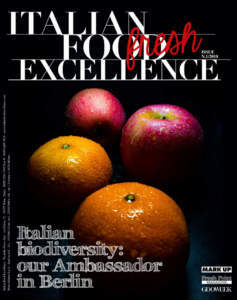 The Protected Designation of Origin cheese, produced in the Veneto and Trentino Alto Adige regions of Italy, will become the key player of intense promotional activity targeted at traders and consumers alike with actions in over 200 stores belonging to large-scale retail chains, with a total of over one thousand days of promotion. According to data from ISTAT (National Institute for Statistics) processed by ISMEA, Germany, with its population of 80 million, represents the second target market for Italian dairy produce, with a growth of 7% in the first half of 2013 and imports totalling over 20 thousand tons.